Lead is a metal that occurs naturally in the environment. Lead can be found in the air, water land (soils and dust). It is all around us, in our homes, places of worship, offices and schools, but very commonly found in paint! Lead is usually released into the environments during activities in burning fossil fuels, manufacturing, construction and demolition and the like. To be more specific, smelting, waste burning (incineration), mining, paint manufacturing and consumption as well as used up ammunitions can all release lead into the environment. What products may contain Lead? 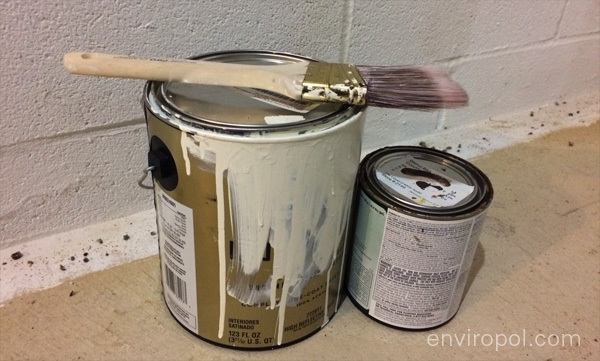 Paints, electrical equipment and plumbing materials are very common products that contain Lead. Other products such as ceramics, PVC and jewellery may also contain Lead. Lead has damaging effects on our brains, central nervous systems, and heart. Lead can also affect the blood, kidney, liver and bones negatively. Particularly in children, Lead can have irreversible damage. The organs of children are not fully developed and that makes them more susceptible to injury from getting onto contact with Lead. In children, Lead causes intellectual disability and premature deaths. How does Lead get into our body? Children can get Lead into their body by putting their toys in their mouth, inhaling dust and paint fumes or drinking contaminated water. Water may be contaminated when old pipes corrode, break or leak. Adults who work with batteries, recycling, paint and other manufacturing plants may also breathe in lead. Headaches, poor appetite, anxiety, stomach pain and irritability are all symptoms of Lead poisoning. The problem here is that these symptoms are not specific to lead poisoning alone and sometimes may be ignored until it is too late. How can a person avoid Lead? Protective gear must be used when adults work in gardens, manufacturing plants and construction sites. Gloves, respiratory masks and the like are all important things to use. Children should avoid chewing on plastic and metal objects, and avoid construction, building, renovation and demolition areas where there is a lot of particulate matter in the air. Wash hands often. In many countries, a Lead test for children is required for all parents. If you suspect that a child has been in contact with Lead, let your health care official (doctors or nurse) know immediately. They will do a blood test and let you know what to do. You should also look around your home and see if there is paint wearing off on walls, or cracks on the walls. Remember that home repairs such as sanding, scraping and painting can make dangerous lead dust. Wipe and clean up all dust in your home regularly.